I CAN NOT TAKE THE RESPONSIBILITY FOR THE DAMAGES OR ANY HARM TO YOUR PHONE OCCURRED DUE TO FOLLOWING THIS PROCESS.IT IS YOU OWN RISK. 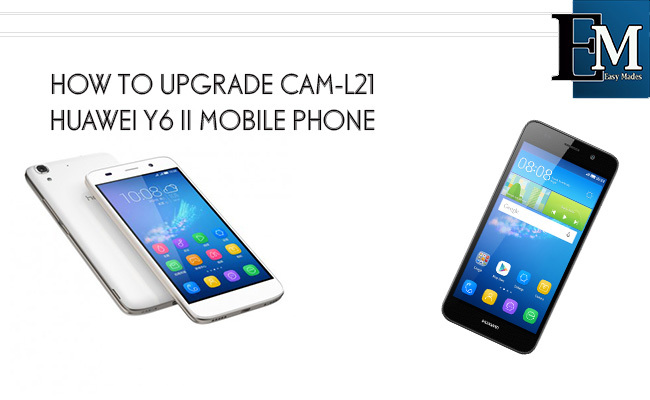 Huawei officially released a new update for HUAWEI Y6 II mobile phone on May 2017 and you can download it directly from your mobile phone or download to your PC and UPGRADE it manually. Some mobile phones does not show this new update. In such a situation you have to upgrade the firmware manually as described here. 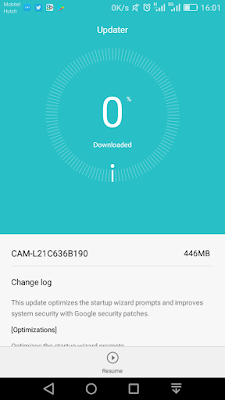 This is described normal way how all the HUAWEI mobile phones or Tablet its firmware updating but I am using HUAWEI Y6 II mobile phone in this time. First you have to download the correct firmware you may find it from Huawei Web site . But i download this new released update from carbontesla web site. 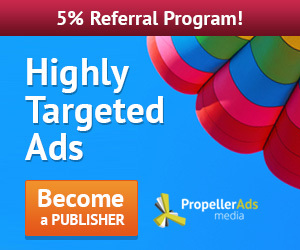 You can visit the website and download it for free. File is about 1.5GB. After Down load the firmware you must create a folder and rename it as "dload" and extract files in the firmware in to the folder created as "dload". 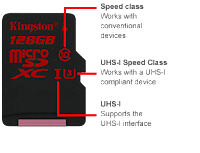 Then format your Micro SD card to Fat32 format. 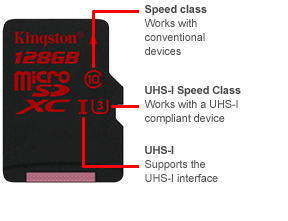 If your Micro SD is at least CLASS 10 one then it is better. Your mobile phone battery should be more than 30% but I recommend to keep it 100%. Then copy "dload" folder in to you micro SD card . Power off your mobile phone and insert the SD card which is copied that "dload" folder. You have to keep holding those three keys around 5 seconds until show the Upgrade mode. Then wait till it is completed 100% then the mobile phone will automatically restart. 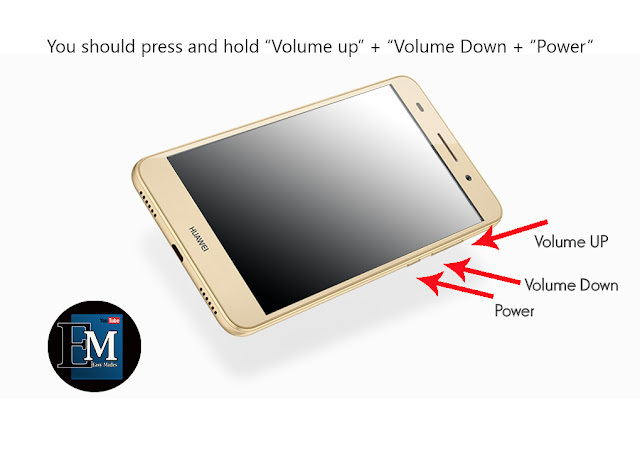 Again it will take a few minute to Optimize the system an after optimizing the phone will restart again . 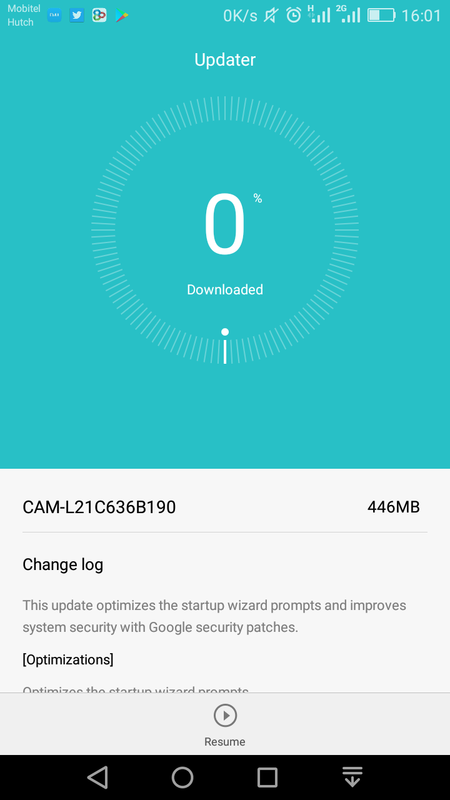 Then you firmware upgrade is completed and go to settings > Update the you will see EMUI 4.1.1 upgraded in to EUMI 4.1.3.